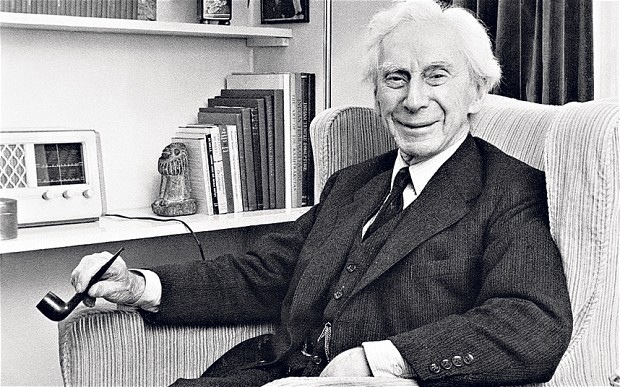 Below is a short text from my hero Bertrand Russell (1872-1970). I was first inspired by him years ago when I was at Hamilton College as an undergrad. He’s brilliant on many levels – his philosophy on life and learning has inspired me over the years. • Do not feel absolutely certain of anything. • Do not think it worth while to proceed by concealing evidence, for the evidence is sure to come to light. • Never try to discourage thinking for you are sure to succeed. • When you meet with opposition, even if it should be from your husband or your children, endeavor to overcome it by argument and not by authority, for a victory dependent upon authority is unreal and illusory. • Have no respect for the authority of others, for there are always contrary authorities to be found. • Do not use power to suppress opinions you think pernicious, for if you do the opinions will suppress you. • Do not fear to be eccentric in opinion, for every opinion now accepted was once eccentric. • Find more pleasure in intelligent dissent than in passive agreement, for, if you value intelligence as you should, the former implies a deeper agreement than the latter. • Be scrupulously truthful, even if the truth is inconvenient, for it is more inconvenient when you try to conceal it.